With zero-based budgeting, every penny you make intentionally goes to something useful. Freelance writer Amy Freeman paid off thousands of dollars of college debt with the help of an unorthodox budgeting method: zero-based budgeting. Simply put, a zero-based budget means your income minus your expenses equal zero. In other words, every dollar you make this month will be earmarked for a specific task the next month, whether it’s your rent, utilities, food, car payment, loan repayment, or emergency savings. It doesn’t mean you end up with nothing, but rather, that every penny intentionally goes to something useful. Freeman said the budgeting technique helped her break the cycle of living paycheck to paycheck and get out of debt, two problems that affect a majority of full-time workers. To get started, you will need at least a month’s worth of savings that will cover your expenses for next month, according to Freeman. 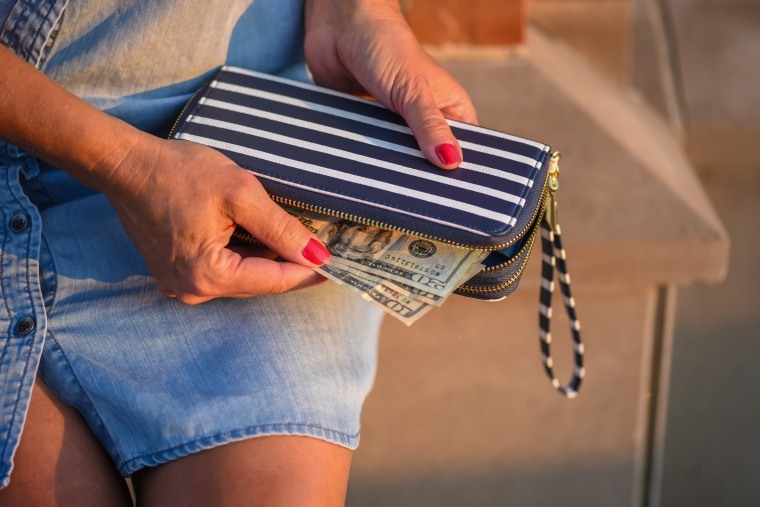 “If you don’t have that money already in your savings, you will have a build up period where you have to save up to get a whole month’s worth of income set aside,” she says. In order to have a solid budget, you’ll need to have an accurate idea of how much money you spend month to month, says Freeman. Your monthly expenses will vary, but the longer you track them, she says, the more accurate your estimate will be. There are budgeting tools that can help you track expenses like You Need a Budget, she says, but she prefers using a manual spreadsheet. “I like to use spreadsheets where I just kind of record every purchase I make or every bill that I have,” says Freeman. Otherwise, she admits, it’s easy to ignore an expense she doesn’t want to acknowledge or to pretend she is spending less than she really is. “If you write it down, you’re forcing yourself to face up to it,” she explains. This step will be easy if you make a steady paycheck: simply record in your spreadsheet your regular month-to-month income. But if your income is irregular, says Freeman, you’ll need to estimate your income based on the lowest amount you earn in six months to a year. “That way you won’t risk your expenses being higher than your income,” she says. It will also help you save for emergencies, she explains. For example, let’s say your estimated lowest income is $3,000, she says. In December, you earned $3,500, so you decide to put the extra $500 into emergency savings. Then, if you only make $2,500 in January, you can add the extra $500 to your active income. “So, it’s just kind of like having an emergency fund for people who have irregular income,” says the freelancer. After you’ve covered your basic expenses, you may have some money left over. Think about how you’d like to use that money. Perhaps you want to pay off a loan, build a retirement investment, or save for a vacation. It really depends on your personal goals and preferences, says Freeman. Freeman says zero-based budgeting has changed her relationship with money. It has allowed her to pay off her undergraduate student loans, she says, and an additional $13,000 in loans from graduate school. “It really helps me to get a better grip on my spending and to actually work towards savings goals,” Freeman says. To get started, you will need at least a month’s worth of savings that will cover your expenses for next month. In order to have a solid budget, you’ll need to have an accurate idea of how much money you spend month to month. There are budgeting tools that can help you, but a manual spreadsheet will force you to pay close attention to how much you are spending. If you make a steady paycheck, simply record in your spreadsheet your regular month-to-month income. But if your income is irregular, you’ll need to estimate your income based on the lowest amount you earn in six months to a year. Any additional money you make one month can be earmarked for emergency savings. After you’ve covered your basic expenses, you may have some money left over. You can use that money to pay off a loan, build a retirement investment, or save for a vacation. It really depends on your personal goals and preferences.